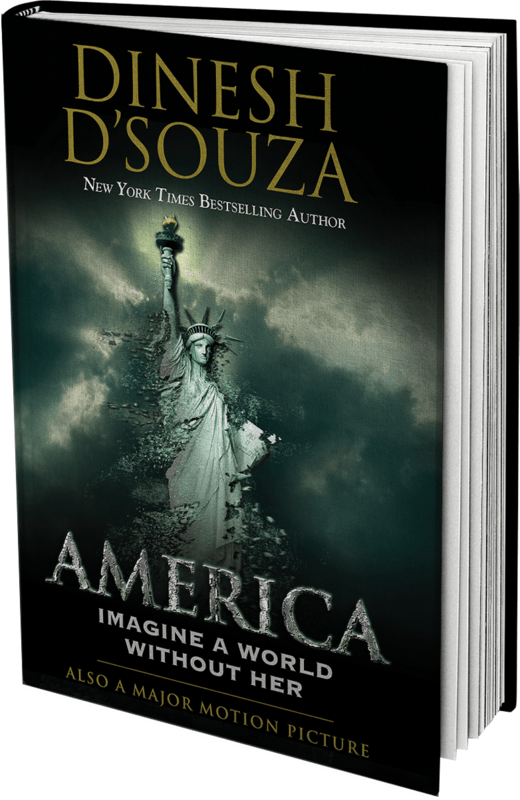 I should emphasize that D’Souza does not mean a world where, literally, America never existed. Presumably, if that were his intention, it could mean that the colonies remained to this day under British rule, the British took over the Louisiana territory after Napoleon’s demise, Texas became an independent republic and Mexico retained control over California, Arizona and the Southwest (or similar scenarios). On an even stranger basis, if Canada and Mexico existed, but never the U.S., the territory in between those two nations could still be one inhabited by mostly nomadic Indian tribes—in short, an actual third world area. D’Souza doesn’t deny or gloss over mistakes and excesses committed by America in its history. This would include confiscation of some Indian land where inhabitants were peaceful farmers instead of warlike nomads, slavery and, of course, racial segregation after the Civil War. But when he describes what this country has done for its citizens, its immigrants and other countries as well, he amasses an extremely positive slate. America, as he reminds us, actually rebuilt the bomb-shattered economies of its two wartime enemies, Nazi Germany and Hirohito’s Japan. Towards the end of his book, D’Souza discusses the question of what many see as a current American decline. He does not believe this decline is inevitable, but he argues it is proceeding at an alarming rate. He discusses how an extreme American decline would lead to the emergence of China, our main creditor, as the world’s #1 super power. If so, their political structure, Mandarin language, currency, life style and all around sense of life would be radically different from what most today consider as the US quality of life. The author uses extensively the word “Progressive” to describe those who condemn the US for its past failures, actual or alleged. These would include Obama and even Hillary Clinton. His terminology is appropriate, rather than “liberal” or “Extreme liberal.” Originally, the latter term meant opposition to “Conservatives”, who enjoyed (especially in the UK) inherited privileges of voting or treatment under the law. Progressive, actually, was the accurate term in the early 20th century for the followers of Theodore Roosevelt and Herbert Croly. This group, long before FDR and New Deal, advocated strict government control over business, its profits, prices and wages, national health and old age insurance. D’Souza makes it clear that he, as an immigrant by choice to this country, is thoroughly opposed to all programs of Obama and Clinton. His approach is to argue that their ideologies and, in some cases, their view of the US as an oppressor, would effectively make America, as we know it, disappear. It is easy to see why this book made number one on the “New York Times” Bestseller list. Image courtesy of Regnery Publishing.